USP Jack3d Review - How Good is the USP Jack 3d Supplement? A lot has been said and written about USP Labs Jack3d supplement, and it is definitely one of the most popular and top rated pre-workout and workout supplements on the market. So why is Jack3d 3d so popular, and what makes it so effective? In our USP Jack3d review here, we'll get into some details about this pre-workout supplement, and also go in some details about the ingredients contained. Currently on the market, there's no shortage of pre-workout supplements that are designed to help increase your strength, energy, endurance, stamina, focus, and allow for much higher intensity workout sessions. There are literally dozens if not hundreds of rather similar pre-workout supplements, and some better products that come to mind include BSN NO-xplode, White Flood, Cellucor C4, Cellucor M5, Superpump 250, Animal Pump, VPX NO Shotgun, Musclepharm Assault, and BullNOX Androrush just to name a few of them. When you look at some of these pre-workout supplements, you'll notice a lot of similarities in their ingredient contents, and you'll quickly notice that there are several key ingredients that are most often used. You'll also find a handful of these pre-workout supplements to contain an obscene amount of ingredients, and wonder "just what's up with all these ingredients, and with so many ingredients, exactly how much of each are you really getting?" This is where USP Labs Jack3d creatine supplement sets itself apart from the competition. It is marketed as an "ultra concentrated" pre-workout supplement that's light on the number of ingredients contained, but heavy on the hard-hitting, effective ingredients. Below, we'll take a more detailed look at what's contained in Jack3d 3d. Another thing I really like about Jack 3d is that it doesn't try to blow a lot of hot air by making all these different "matrices" and "complexes" with super fancy and technical names that contain long lists of ingredients. 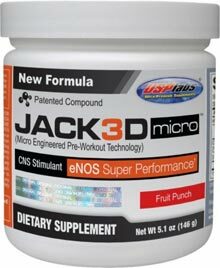 Jack 3d is a simple and straight forward supplement, and it's designed that way. But don't let this simplicity fool you - this is one heck of an effective pre-workout supplement. I'm sure most are probably aware of and have some understanding of what Arginine Alpha-Ketoglutarate (AAKG) is. 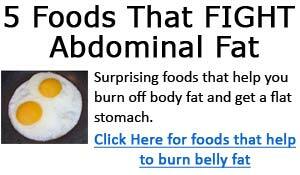 In short, it is arginine attached to alpha ketoglutaric acid. It is widely used in bodybuilding supplements for its benefits of helping to increase the production of nitric oxide (NO). Not much more needs to be said about creatine monohydrate (CM) either, as this is one of the most common supplements that been around for a long time. Beta alanine is a powerful ingredient that has been talked about much on our site here. We have a rather detailed description of it here in our homemade supplements. In short, beta alanine is a beta amino acid that's known to greatly boost your muscle carnosine levels, where studies have found it to increase muscle carnosine levels by as much as 80%. Carnosine helps to greatly reduce fatiguing, and when you supplement beta alanine to greatly increase muscle carnosine levels, you are in effect helping to greatly reduce your fatigue resulting from intense exercising. Beta alanine has been found to help significantly improve endurance and increase lean body mass. I won't bore you with citing scientific studies here, since the "homemade supplements" guide mentioned above goes into some details about beta alanine and its related scientific evidence. Caffeine is a stimulant that we're all familiar with, so no more needs to be said here. The one other key ingredient of USP Jack3d 3d is the 1,3-Dimethylamylamine, or DMAA. 1, 3 Dimeth has stimulating effects on the central nervous system, but it is weaker than related compounds such as amphetamine and ephedrine. DMAA is also used as a nasal decongestant, and it has opposing effects with AAKG being a vasoconstrictor. It's stimulating effects are well known for giving a nice boost in energy and focus. However, there's a certain amount of controversy surrounding DMAA. In 2010, DMAA was added to the World Anti-Doping Agency's list of prohibited substances. Since 2010, many high profile professional athletes have been stripped of their medals or removed from sporting events due to being tested positive for DMAA. DMAA in Jack 3d is a known stimulant with some side effects, and some of these include headaches and nausea. Some other possible side effects of Jack3d include dizziness, insomnia, faster heart rate, and jitteriness. Many users will also experience a skin prickling or tingling sensation, and this is caused by the beta alanine ingredient contained in Jack3d. Doses above 800mg of beta alanine has been found in studies to cause this skin tingling sensation. This could take place within several minutes of taking Jack3d, and might last around 5 to 15 minutes (more or less). The areas this tingling sensation most likely to take place are the back of hands, back of forearms, scalp, ears, neck area, and chin and jaw area. Jack3d by USP Labs is so popular for a simple reason, it works, and works great. There aren't any filler ingredients, and all the ingredients contained are there for a certain purpose. Shortly after taking Jack3d, you'll notice a real boost in energy levels for your workouts. While taking Jack3d, I had loads more energy, focus, and endurance, and could blast through my normal workouts with ease. I was able to greatly increase the workout intensity of my workouts by using heavier weights, and doing a few more reps than I normal could. Overall, USP Jack3d is a fantastic pre-workout supplement.